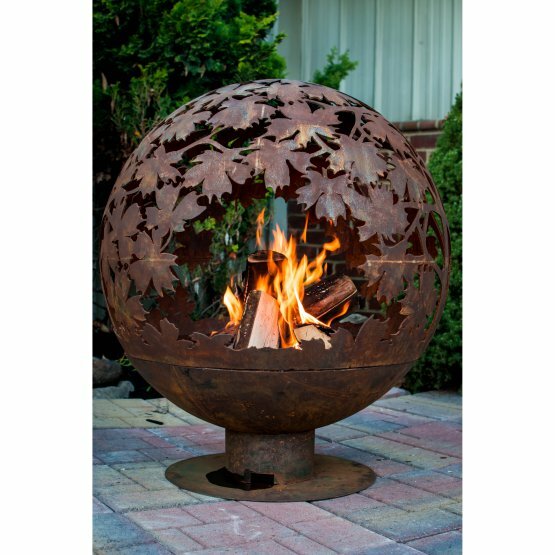 Gather around this unique fire globe fire pit and enjoy the true art of fire on your patio. 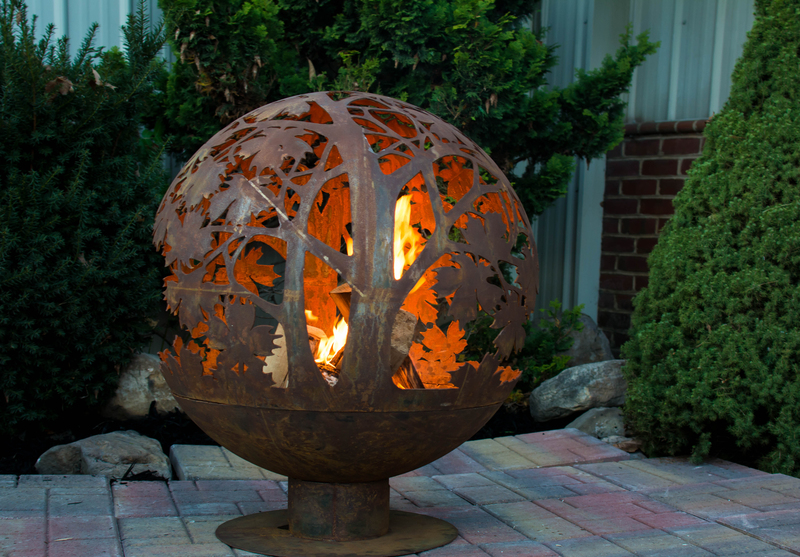 This 3mm thick steel ball is laser cut in such fabulously artistic designs. 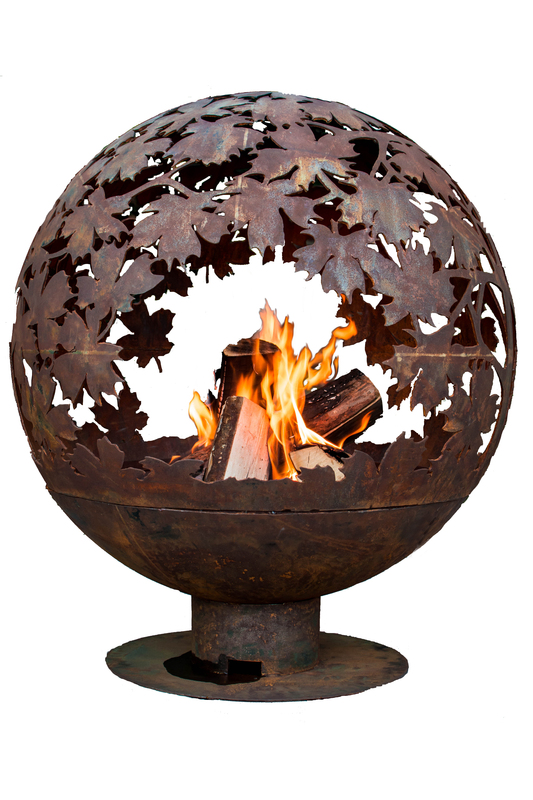 Two sizes: 24" diameter and 32" diameter, set on a sturdy 4" tall base. 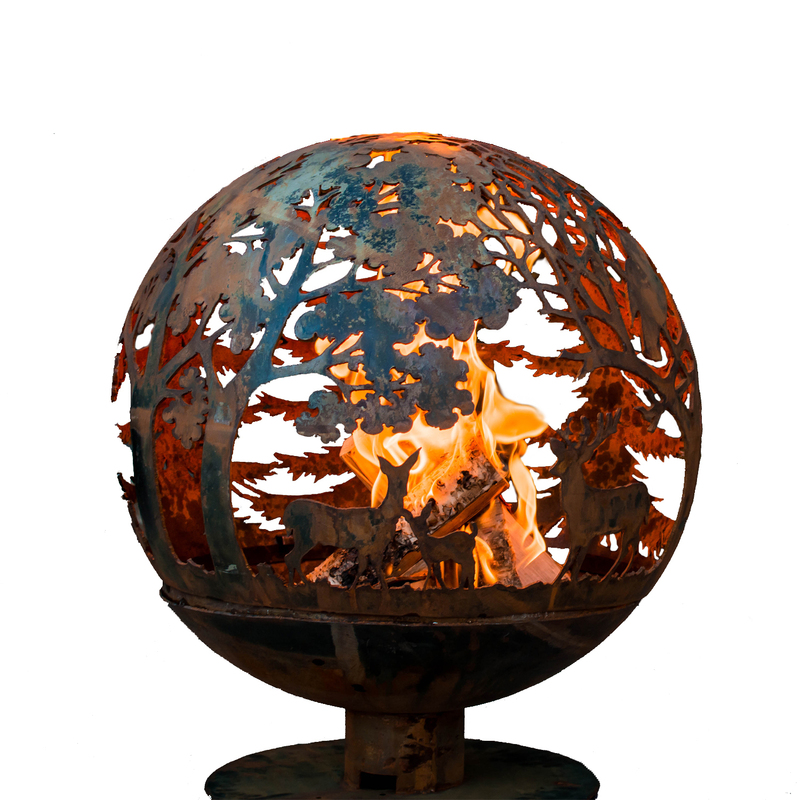 The globe separates from the base for cleaning or transport. The 24" model weighs 50 lbs. and the 32" model weighs 70 lbs.